We're always happy to answer your questions about Billy Bob's. To make it easy for you to plan your visit, we've organized our most frequently asked questions into helpful categories. What are Billy Bob’s Texas hours of operation? *Billy Bob’s Texas reserves the right to modify hours of operation due to special circumstances or for private events. Deviations from normal hours of operation are typically posted on the Billy Bob’s website. Please call to confirm hours of operation on a specific night. What is the age policy at Billy Bob’s? Billy Bob’s is a family-friendly entertainment facility. However, we do serve alcohol and must abide by all applicable state and local laws. Anyone under the age of 18 must be accompanied by a parent or legal guardian to enter our establishment at any time. Minors must remain within arms length of parent or legal guardian at all times while on the premise. Individuals 18 and older are always welcome with a VALID government-issued ID. Acceptable forms of identification include a state-issued driver’s license or ID card, military ID, or international Passport. A student ID is not an acceptable form of identification. A guest 30 years or older may be responsible for up to two minors with a notarized letter from the parent/ legal guardian granting parental consent for a specified date. Management may make prior approval for special considerations. If you need to make arrangements for large groups or organizations consisting of minors, please contact our Parties & Events Department. Billy Bob’s staff will be happy to work out details with you to make it possible. Give us a call at 817-624-7117 for more info. Do I have to have an ID to enter Billy Bob’s Texas? All guests 18 years and older should be prepared to present a valid unexpired government issued ID to enter Billy Bob’s Texas. Guests under the age of 18 must be accompanied by their parent or legal guardian. If you are not the parent or legal guardian of a minor that you would like to bring to Billy Bob’s, see our Age Policy above for more detailed information. Acceptable forms of identification include a state driver’s license, military ID or an international Passport. Members of management may accept identification issued by a government agency of a foreign country. For additional questions, please call 817-624-7117. What are the current admission prices? The admission prices to Billy Bob’s vary during the week based on special events, but the typical admission prices are as follows: Sunday -Tuesday: $2 admission until close (excluding special events) Wednesday & Thursday: $2 before 7 pm, $5 after 7 pm (excluding special events) Friday & Saturday: $2 before 5 pm. Friday and Saturday night pricing varies; call for specific pricing on the scheduled entertainment or check the Concert Calendar Page for general admission and reserved seating prices. If concert ends before midnight, $5 admission after the concert is over till close. NOTE: Billy Bob’s is closed from 5-6 pm every Friday and Saturday night to prepare concerts. Live Bull Riding on Friday & Saturday night is an additional $4 cash and is not included with the concert admission price. Tickets to Live Bull Riding can be purchased 30 minutes prior to each performance; show times for both nights are at 9 pm and 10 pm. Besides cash, what other forms of payment does Billy Bob’s accept? Billy Bob’s accepts Visa, Discover, Mastercard, American Express Diners Club, and Billy Bob’s Texas Gift Cards. Are there ATM’s available at Billy Bob’s? Billy Bob’s has one ATM located outside the club near the north entrance and there are two ATM’s inside the club. What does the price of my admission ticket include? General admission includes entrance into the club and access to the standing room only area in the Showroom on concert nights. If you purchase a reserved seat on a concert night your ticket includes entrance into the club and access to the reserved seated area in the Showroom. If you would like admission to watch Live Pro Bull Riding on Friday and Saturday night, you must purchase at separate ticket for $4 cash at the bull riding arena. Do I have to pay the admission price for my children? Children 11 years and younger receive complimentary admission Sunday-Thursday. General admission prices may apply to all children for special events and for some concerts. Call our box office at 817-624-7117 to inquire about a specific performance. Reserved seating prices apply to ALL children over the age of 2 to enter the reserved seating area on concert nights. Does Billy Bob’s offer a discounted rate to active military? Billy Bob’s has the greatest respect for the U.S. military and offers free admission with a military ID during the day and Sunday-Thursday nights. Do I still need to pay for admission if I just want to eat in the restaurant or purchase something in the gift store? Everyone is required to pay admission into the club to access the amenities Billy Bob’s offers. Do I still need to pay the general admission price if I am not interested in attending the concert on Friday or Saturday evening? Everyone must pay either the general admission or reserved seating ticket price to enter Billy Bob’s on Friday and Saturday night due to contractual obligations with the scheduled entertainer. Reserved seating ticket prices include admission into the club with a guaranteed assigned seat in the showroom. What Is The Billy Bob’s Country Club? The Billy Bob’s Country Club (BBCC) is a membership program that offers members access to advance ticket purchases, exclusive content, merchandise, and more depending upon your membership level. Visit our Country Club Page for detailed information about our membership offerings or to join. Smoking is not be permitted inside any area at any time in Billy Bob’s Texas. This policy includes all forms of smoking including e-cigarettes. It applies to employees, customers, vendors, clients, contractors, consultants, owners and all other visitors. For our smoking patrons, we apologize for any inconvenience and have constructed an easily accessible outdoor patio for use while smoking. Billy Bob’s Texas is committed to providing a family-friendly, inviting, safe and healthful environment for our customers, employees and artists to enjoy. Billy Bob’s Texas has plenty of space for parking- nearly 20 Acres. All vehicles are welcome, including RV’s. Our parking lot is located across Stockyards Blvd directly East of Cooper’s BBQ. Prices and parking facilities not controlled by Billy Bob’s vary throughout the Stockyards. Sunday-Thursday parking is free (excluding special events). Friday and Saturday self-parking is $5.00 beginning at 11am. Valet is available after 5pm for $10.00. Special event parking varies; call Bill Bob’s Texas at 817-624-7117 to inquire about specific events. Does Billy Bob’s have parking facilities for the handicapped and physically impaired? Billy Bob’s main parking lot has 22 spaces dedicated for handicap parking. There are two spaces available in the North lot closest to the building for customers to use during the week. On concert nights, valet services are offered for the same price as self- parking for guests driving vehicles with handicap credentials. If you require special assistance, please speak with one of our parking attendants and they will be happy to accommodate your needs. When do concert tickets go on sale? Tickets to upcoming shows typically go on sale Fridays at 10 am. Due to artist booking schedules and holidays, this may vary. Click here to sign up to receive advanced concert notifications. Customers can purchase tickets online at billybobstexas.com/events, in person at our box office, or over the phone by calling 817-624-7117. Other than cash, we accept Visa, MasterCard, Discover, American Express Diners Club, and Billy Bob’s Texas gift cards. We do NOT accept checks. *Billy Bob’s Texas strongly discourages purchasing tickets through ticket brokers or third party ticket sellers and is not responsible for any damages or inconveniences incurred through the use of third party ticket sellers. Is there a service fee to purchase tickets? Tickets purchased from Billy Bob’s box office in person are not subject to additional fees. Tickets purchased online or by calling the box office will include a service fee and processing fee. Billy Bob’s will email your tickets at no cost to be printed by the purchaser. If you prefer to have your tickets sent standard mail, a $5 mailing fee will be assessed to your order. Tickets can also be held at will call for pickup. There are no refunds or exchanges on concert tickets. A concert cancellation is the only exception to this policy; See below for the cancellation policy. What is the cancellation policy at Billy Bob’s Texas? YOU MUST OBTAIN A REFUND FOR A CANCELLED SHOW AND PURCHASE TICKETS TO A NEW SHOW ONCE IT IS SCHEDULED. If a concert is cancelled, you are entitled to receive a full refund at the point of purchase. Billy Bob’s makes every effort to re-schedule a concert in the event of a cancellation; however, due to timing differences and artist availability we will not honor tickets from a cancelled performance. An automatic refund will occur for purchases made online or over the phone. You may contact the box office to inquire about the status of your refund during normal box office hours. All guests who purchase their tickets in person from the box office must bring their tickets back during box office hours to obtain a refund. What are the steps for printing my tickets at home? You must have Adobe Acrobat Reader to print your tickets. Once you have Adobe installed (a download link can be found in the confirmation email), find the blue rectangle box in your confirmation email located directly under shipping information and click to print. Each ticket must have a clear barcode on each page. What should I do if I can’t print my tickets or my tickets do not print correctly? If you cannot print your tickets or they do not print with a clear barcode, contact the box office during normal business hours by calling 817-624-7117. They can provide alternative shipping methods to ensure you receive your concert tickets. You may also present your ticket digitally on a smart phone or tablet. How can I receive information about scheduled concerts or special events? Click here to sign up to receive advance notification of upcoming events and concerts. You can also follow us on Facebook and Twitter. If you prefer to contact us via phone, give us a call at 817-624-7117. We’re always happy to answer your questions and keep you informed. What is the difference between GA, Reserved, and PIT? Billy Bob’s has three different ticket options that vary depending on the concert. GA stands for general admission. This ticket option grants you entrance to the club, but not guarantee you a seat or allow entrance to the showroom floor. Reserved tickets guarantee a seat in the showroom. PIT configuration is standing room only in the showroom area. Some tables are offered in the back of the showroom for comfort and convenience. Is Billy Bob’s Texas a good place to bring your family? You bet! We offer a true family-friendly entertainment experience. Besides great entertainment and atmosphere, attractions include our Celebrity Handprint Wall of Fame, the Photo Bull for souvenir pictures, pool tables, and arcade games for the whole family to enjoy. Be sure to visit our gift shop that also has souvenirs for all ages. 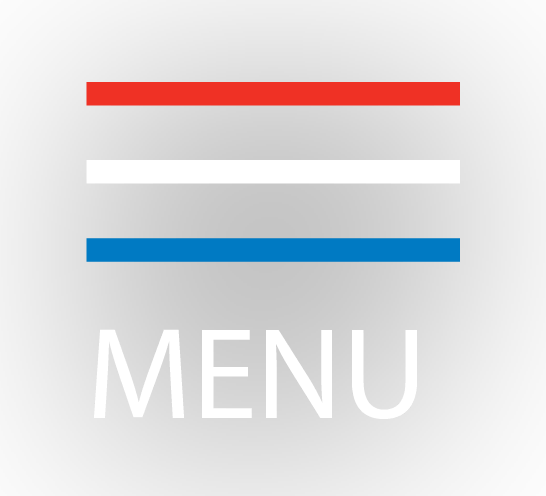 Our restaurant serves a family-friendly assortment of BBQ, burgers, catfish, appetizers, desserts, soft drinks, craft beers and more. In addition to concerts every Friday & Saturday night, we also have live professional bull riding at 9 & 10pm. Admission is $4 per person in addition to the admission price to Billy Bob’s. Billy Bob’s showroom is strictly nonsmoking and there are no advertisements for alcohol in this section of the club in order to promote a more kid-friendly environment. Billy Bob’s typically does not schedule any offensive performances and does not condone behavior that would make our guests uncomfortable. In the event that a performance is scheduled that is not acceptable for all ages, Billy Bob’s will advertise the show as “18 and Up Only” and will post this information in the club, on the event ticket, and on our website. Billy Bob’s truly welcomes you and your family. Please come and see for yourself! What hotels and motels are near Billy Bob’s? There are several nearby hotels and motels that are either within walking distance or easily accessible by car or taxi. Check out our Hotels and Motels Page to view a complete listing. Be sure to ask for the Billy Bob’s rate when you make your reservation! Does Billy Bob’s Texas have areas for the handicapped and physically impaired? Billy Bob’s is wheel chair accessible and offers a wheel chair accessible table in the reserved seating area. Handicapped parking is also available. If you need special arrangements to attend an event at Billy Bob’s, please call the General Manager in advance at 817-624-7117 so we can ensure your needs are met. Can I take pictures or use my video camera at Billy Bob’s? Billy Bob’s allows our guests to take still pictures while inside the building. Occasionally, an artist will restrict the use of cameras or flash photography during their performance. As a courtesy to the artist, we will honor their request and ask patrons not to use their camera during the show. Billy Bob’s does NOT allow the use of video recording devices without prior approval from management. Please call the club during normal business hours to make arrangements in advance if you wish to record on location. Does Billy Bob’s Texas sell gift cards? Of course! Give the gift of entertainment to your friends and family.  Click here to purchase a Billy Bob’s gift card online or visit our gift store inside the club. What are the steps I should take to be considered as a Billy Bob’s Texas house band? What days and times do the House Bands typically play? A house band gig usually means appearing on the Honky Tonk stage Wednesday through Saturday beginning at 8 PM each night. This schedule can change based on the main stage schedule or a private event. Does Billy Bob’s have a mechanical bull? Contrary to what many people believe, we do NOT have a mechanical bull- not even when we first opened in 1981! We have always had live professional bull riding. We prefer the real thing. Check out our live professional bull riding performances every Friday & Saturday night at 9 & 10pm. Admission is $4.00 cash. We also have a Photo Bull available for guests to have their picture made to take home as a souvenir. *A Mechanical Bull can be provided for private events by calling the Parties and Events department at 817-624-7117. Can anybody ride a bull at Billy Bob’s Texas? Bull riding is a dangerous sport and Billy Bob’s requires competitors to be pro or semi-pro athletes with a valid membership from a recognized Bull Riders sanctioning organization such as your state rodeo association, PBR, or PRCA. Bulls generally weigh 1,800-2,000 pounds compared to the weight of most bull riders at 150 pounds. You can’t just have a few beers and ride a bull or dare your buddy to ride at Billy Bob’s! How do you enter the bull riding competition at Billy Bob’s Texas? You must have a valid membership from a recognized Bull Riders sanctioning organization such as your state rodeo association, PBR, or PRCA to participate in the bull riding competition at Billy Bob’s on Friday/Saturday nights. Advance entries should be made by emailing doublerrodeo@yahoo.com. Late entries will also be accepted on Friday/Saturday nights from 7 pm until 8:30pm with an additional $5 late entry fee. Visit our Bull Riding Page for additional information. Note: Billy Bob’s Texas does not provide any equipment such as vests, ropes, or other gear. Is Billy Bob’s a fun place to work? From live action bull riding to live music and dancing, we help our guests embrace their inner cowboy, and there’s no shortage of fun opportunities while working in an authentic western atmosphere in the historic Fort Worth Stockyards. At Billy Bob’s, we believe that our employees are our greatest assets and know that great ideas come from great employees. We believe in teamwork. We encourage every employee to speak up, to listen to others’ ideas respectfully, and to continuously help us look for ways to make Billy Bob’s a better place for our guests and ourselves. What types of jobs are available at Billy Bob’s and how do I apply? The Billy Bob’s team includes support from customer service, retail, restaurant and catering, event planning, wait staff, bartenders, showroom concert staff, production, box office, maintenance, and administrative personnel. Visit our employment page for available opportunities and to apply online.